If you have a chlorinated pool, then you need to test the chlorine. Ideally, you should be testing every day, especially if your pool is not covered and is exposed to rain, wind, leaves, grass clippings, and sunlight. 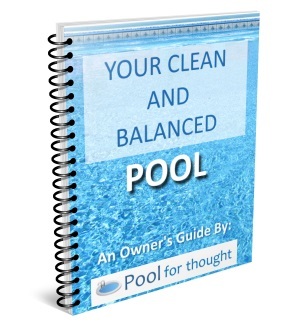 For chlorinated pools, chlorine itself is one of the most important chemicals to monitor. Other sanitzers exist to help reduce the amount of chlorine you need in your pool, but the role of chlorine is vital to maintain a safe and inviting pool. If you are learning how to test your chlorine level, then you might be confused why your chlorine reading might be too low or too high. It ultimately boils down to water chemistry and most chlorine problems can be traced to problems in the chlorination process, testing, contaminates, or addition of other chemicals. Your local water source can even be a source of the problem. Why is testing pool chlorine important? 1 Why is testing pool chlorine important? Testing pool chlorine is an important part of keeping the pool water sanitized and clean and for health and safety of swimmers. Proper pool water sanitation minimizes microorganism growth in the pool water. Although not a safety issue, clean, clear, and inviting pool water is an added benefit to a properly maintained chlorine level in pools. Who wants to step into a murky, cloudy pool where you cannot see the bottom? During the hot summer when your pool water is reaching its peak temperatures, if you heat the water to very comfortable temps, or you have regular large numbers of swimmers, then testing becomes critical and should be routine. You need to either do this yourself, or hire a local pool maintenance company to do this. Testing the chlorine level is one of the easiest pool tests you can do. Multiple companies make test strips that are easy to do and only take a few minutes to perform the test. More expensive test strips are available that can test total chlorine as well as free chlorine. Chlorine test kits are also readily available. Open your pool cover if it is covered. Make sure you have washed your hands and they are dry before handling the test strips. The test strips have a color comparator either on the product packaging, or as a separate item. Make sure this is ready to view. Remove a test strip from the container. Be careful not to touch the pads on the test strips. Dip the strip into the water, at a depth about up to your elbow. Keep the strip in the water for a few seconds (this depends on test strip maker’s instructions). Hold the strip horizontally, or lay the strip down, making sure the color pads are facing up and the strip is not in direct sunlight. Compare the color of the strip to the color comparator chart included with the test strip package. You should be able to tell if you are high, low, or within the ideal chlorine range. If the strips you are using also test free chlorine, be sure to check both free and total colors. If free is the same as total, then you are ok. If the values are different, then you have combined chlorine in your pool and you will likely have to shock the pool water. Chlorine test kits come in many variations, but all rely on the same process of titration, where you add drops of a reagent to measure the amount of chemical present in the sample, which is chlorine in this case. As you want to test the various forms of chlorine in the pool, you would add several reagents and measure the results. If you run out of reagent in your test kit bottles, avoid buying reagents from makers other than the maker of your test kit. The slight cost difference for your brand name reagent is tiny compared to just one incorrect dose of chlorine…and the time and chemicals needed to correct potential problems if the reagent turns out to give incorrect results. Rinse out the comparator tube to make sure it is clean from any previous tests and reagents. Dip the comparator tube into the pool water, to your elbow. Flick the comparator, causing small amounts of water to leave. Do this until you reach 9 mL. Add 5 drops of the first DPD reagent (Taylor R-0001), and 5 drops of the second DPD reagent (Taylor R-0002). Cap the tube and gently shake to mix the reagents and water together. The water sample should turn pink. Match this color with the comparator tube color sample chart. Record the value, as this is your free chlorine level. Add 5 drops of the third DPD reagent (Taylor R-0003), and mix the contents together. The tube contents might change color. Match this color to the color sample. Record the value, as this is your total chlorine level. If free and total chlorine are different, then you have combined chlorine in your water. You will need to shock the pool water. Subtract total chlorine from the free chlorine to get a value for combined chlorine. 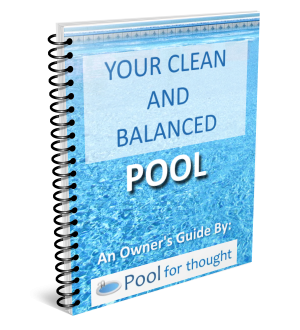 Using the value for free chlorine, you can determine how much chlorine you need to add. If the total chlorine value is low, then you need to increase the rate of chlorine you are adding, such as adding more chlorine tablets or increasing the flow rate of your chlorine feeder if you have that. If your chlorine is slightly high, don’t worry. Just leave your pool uncovered in the sunlight for a little while. Not too long, as sunlight can completely strip your pool water of chlorine. If your chlorine is very high, and you plan to use the pool, you may have to lower your swimming pool chlorine level. There are a few electronic testing devices available on the market. They claim to be accurate, although I have not tried one yet myself. Occasionally seek a second opinion to make sure your testing is accurate. Local pool service providers often will test your pool water for free. If you test with a test kit and the color is clear, then redo the test, but use one-half the amount of water. Then multiply the chlorine estimations you get by 2. This means your chlorine is very high and is bleaching out the reagent color reactions. Cap the test strip container after you remove a single strip, and do not wait until after you are done testing. Humidity in the air or accidentally getting pool water from your hands might contaminate the inside of the test strip container. Try test using the same maker of test strips or test kit. I recommend getting a good test kit that covers many chemical tests, as you end up with a shelf full of kits of different makers and differing instructions and can be a confusing mess. Make sure your test strips and test kit chemicals are not expired, as you can end up with incorrect, inconsistent, and misleading results. Mistakenly added chemicals due to expired test supplies is far more expensive and time consuming than making sure your test supplies are not expired. If you are getting chlorine readings of over 10 ppm (parts-per-million), do not swim in the pool. You will not want to swim in water with chlorine this high. You need to lower the chlorine level in your swimming pool. If you have added chlorine or added any chemical to reduce the chlorine level, wait 24 hours before retesting. It often takes this long for chemical changes to propagate throughout the swimming pool. This may be obvious, but do the chlorine testing during daylight. Doing the test at night and with artificial light can make the color strips and comparator tubes appear a different color. Testing your chlorine level is an important part of maintaining a healthy and safe swimming pool. Keeping pool water within ideal chlorine limits can prevent scenarios of low or high chlorine, and avoid problems that arise from improper chlorine levels.